S.S. H. D. Collier. 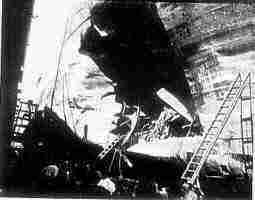 Torpedoed near India March 13, 1944 with 43 crew and 28 Naval Armed Guard. 10 Crew and 16 Naval Armed Guard survived in two boats. M/S Sunoil. Torpedoed in the North Atlantic 4 April 1943. 43 Crew Members and 16 Naval Armed Guard. There were no survivors. 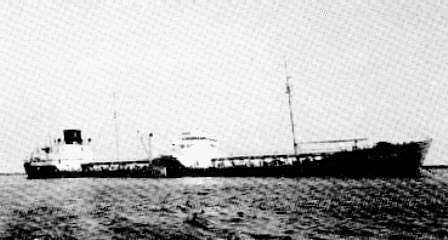 The Tanker, SS ESSO GETTYSBURG, was torpedoed by the German submarine U-66 at 1400 EWT on June 10, 1943 about 100 miles southeast of Savannah, Georgia while en route alone from Atreco, Texas to Philadelphia, Pennsylvania with 120,000 barrels of crude oil. Her complement was 45 Crew Members and 27 Navy Armed Guard. Of this number, 37 crew members and 20 Navy men were lost. 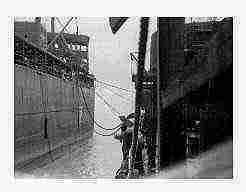 The Tanker, S.S. JACKSONVILLE, was torpedoed by the German submarine U-482 (Graf von Matuschka) at 1345 GCT on August 30, 1944 about 50 miles north of Londonderry, Northern Ireland while en route from New York to Loch Ewe, Scotland in Convoy CU-36 with a full load of 80 octane gasoline. 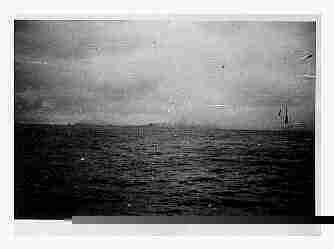 Her complement consisted of 49 Merchant Crew and 29 Naval Armed Guard. 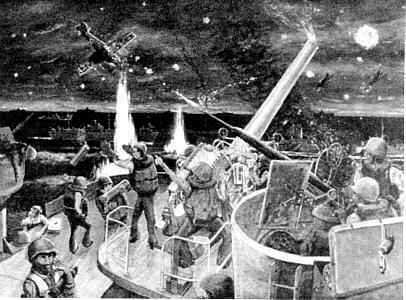 There were only two survivors, a Fireman and a Navy Gunner. 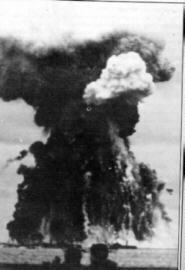 The Tanker, MS ATLANTIC SUN, was torpedoed by the German submarine U-607 (Mengerson) about 1000 ship time on February 15, 1943 about 150 miles off Cape Race, Newfoundland while en route in Convoy ON-165 from Reykjavik, Iceland to New York in ballast. 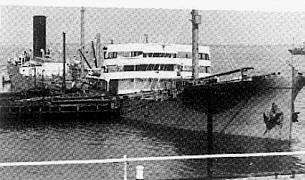 At the time of the attack, the tanker had lost the convoy and was sailing alone. 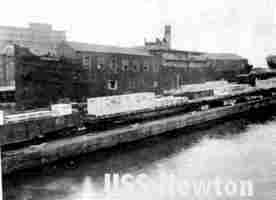 Her complement was 47 Merchant Crew Members and 19 Naval Armed Guards. 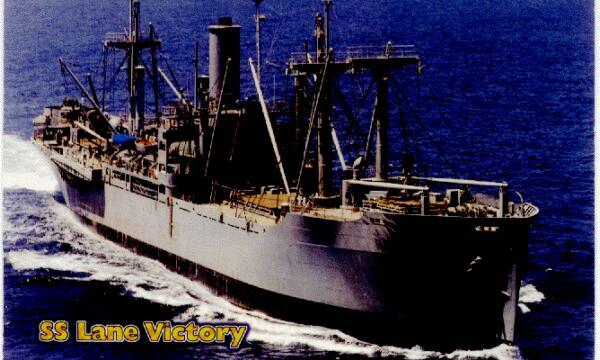 An ordinary seaman was the only survivor. He was taken prisoner aboard the sub. 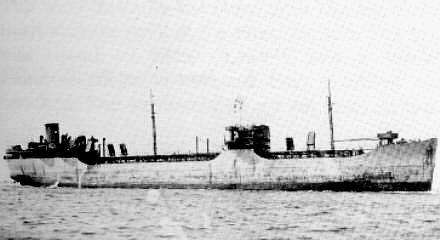 The Tanker, SS Benjamin Brewster was torpedoed by the German submarine U-67 (Muller-Stockheim) at 2330 GWT on July 9, 1942 while anchored about 2 1/2 miles off Grand Isle, Louisiana (29.05 North / 90.07 West). The ship was en route from Baytown, Texas to Port Tampa, Florida with a cargo of 70,500 barrels of aviation gas and other clean oils. 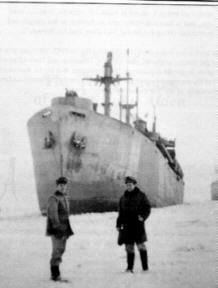 Her complement was 35 merchant crew and 5 Naval Armed Guard. Of this number, 24 merchant crew and 1 Navy man were lost. 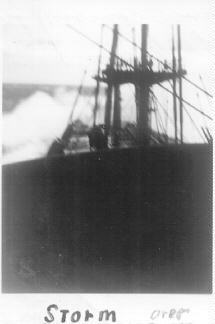 Photo courtesy of Exxon Shipping Co.
Picture of a ship in a storm - provided by Frank L. Binney, Jr. 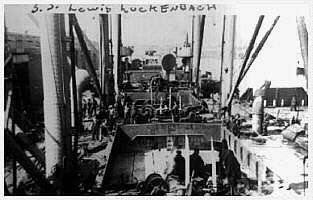 The end of the S.S. Mary Luckenbach - All hands (38 Merchant Crew and 27 Armed Guard) killed immediately!